State your case as to why you should be hired with your cover letter. 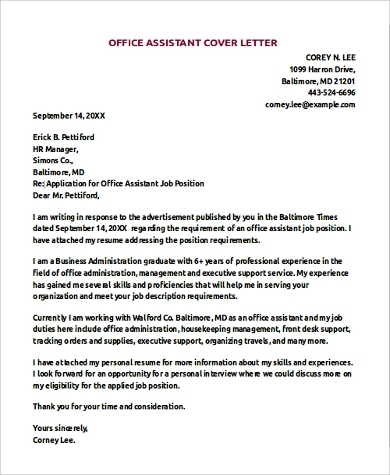 More than just a formality, a cover letter is of greater purpose and could help you land the job that you are seeking. 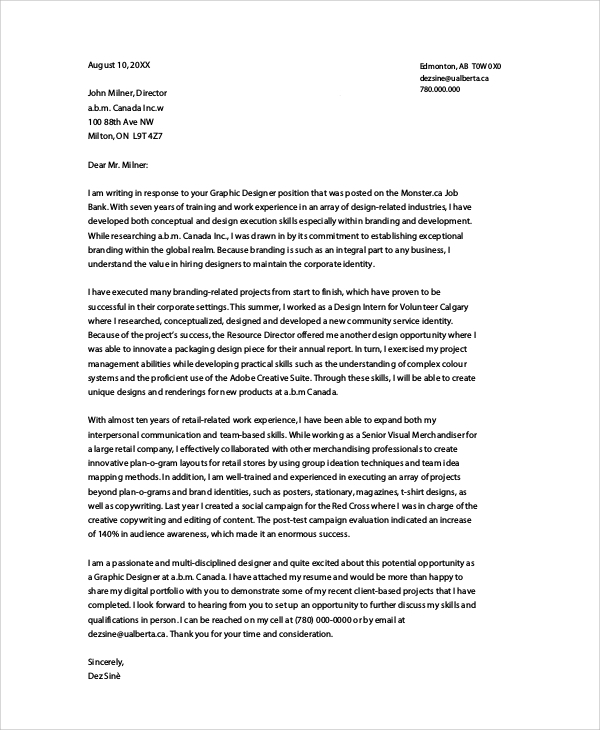 In your cover letter, you are not only addressing the company you are applying to, you are making your appeal for your prospective employment herewith. Consider your cover letter as the introduction to your resume; the plot synopsis to the entirety of your skills, qualifications, and experiences as contained in your resume. 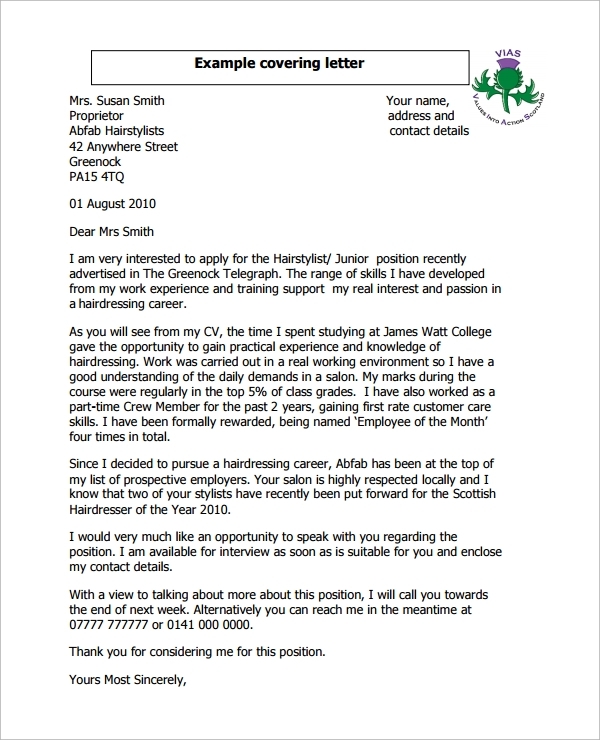 Let this post on Sample Letters guide you with writing an effective cover letter for your application. Badly written plot summaries take away the appeal from a movie or a book. It is the same with a cover letter. 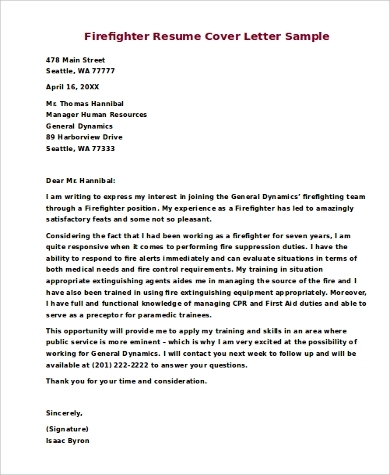 Because it is attached at the beginning of your resume, a cover letter should ignite interest as a compelling introduction. While it is not a requirement to always have a cover letter, including one for your resume could benefit you, for as long as it is written effectively and well. With it, you would be able to provide an opening explanation as to why you should be hired. 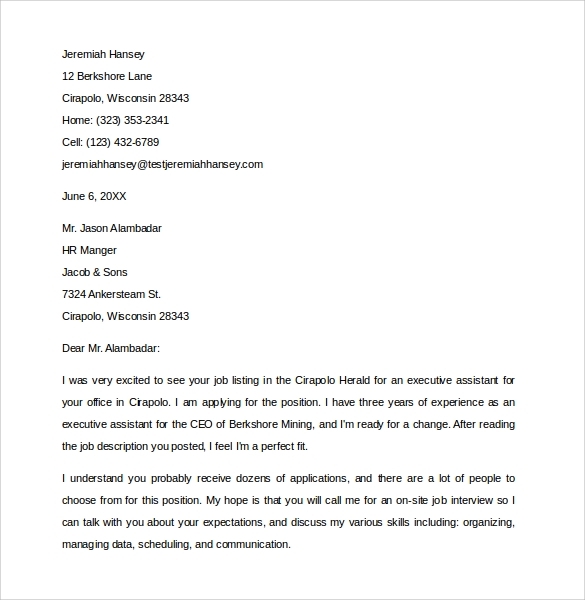 Essentially, a cover letter should highlight your qualifications. It generally aligns the nature or gist of your listed resume entries to the job that you are trying to get. It puts emphasis on the purpose for your application: your belief that you should be hired with what you have to offer to the company. 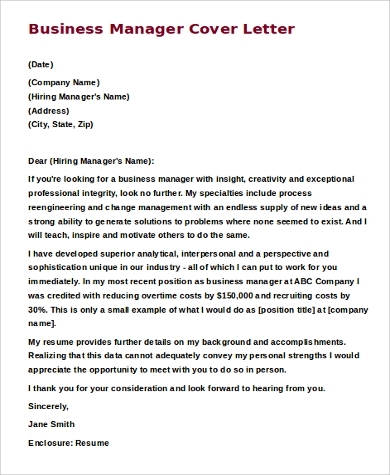 For reference, see these Basic Cover Letter Samples. 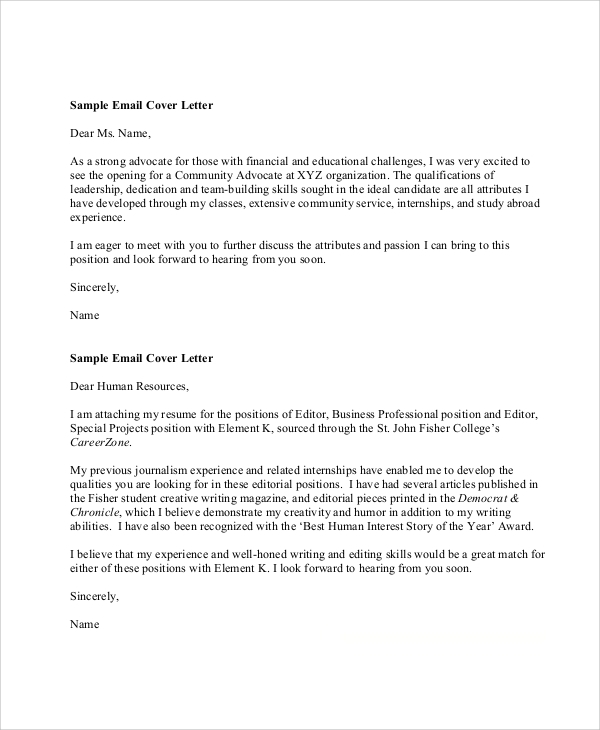 Begin your cover letter’s content with a catchy and sensible introduction, as with these Cover Letter Introduction Samples. why you believe you are the best fit for it. 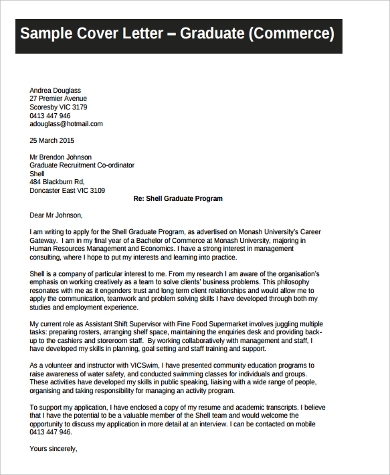 Note that a cover letter should not exceed one page. So you should be concise yet compelling about expressing these points. 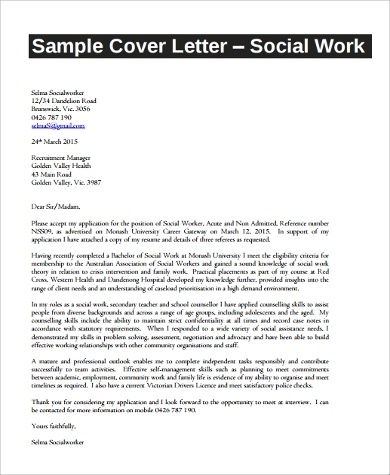 The samples show cover letters written for different types of work. As additional reference, see Sample IT Cover Letters. In your resume, you are detailing and explaining your work history, your skills, experiences, and other qualifications. These are the arguments for your application. Your cover letter is what consolidates these arguments into main entry points for the potential employers that you are trying to win over. 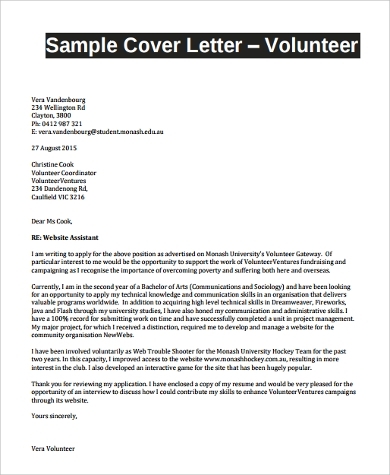 To guide you further, look through these Sample Application Cover Letters.